Don't trust your roof to just anyone. Don’t trust your roof to just anyone. At eGreen Roofing Solutions, we have decades of experience using fluid-applied roofing (FAR) systems with superior results. As a leading nationwide provider of roofing services, we have installed, repaired, and maintained all types of residential, commercial, and industrial roofs from built-up roofs and single-ply to metal roofs and asphalt shingles. Whether you are dealing with a leaking roof, are considering roof replacement and recovery options, or you are ready to adopt a preventative maintenance program, we can help. 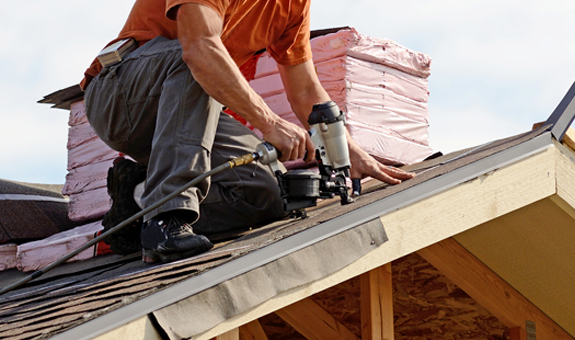 Unfortunately, we frequently encounter improper roof repairs that aren’t just temporary; they do more harm than good. Metal roofs, for example,are often repaired with asphalt that quickly becomes dry and brittle, breaks down, pulls away from the metal panels. Asphalt patches may work very well at first, but the results will not last and the asphalt will quickly pull back and break the waterproof seal. Inexperienced roofing contractors called in for repairs may also damage your roof with improper materials, installation, and foot traffic. When the wrong material is applied to repair your roof, it can cost up to four times as much to remove the material than it would have cost for a proper repair. We are even frequently forced to replace metal roof panels due to incorrect repairs that have led to corrosion and leaks. Always vet the company that performs your roof repairs. Fluid-applied roofing — when applied by a certified professional, not a standard roofing contractor — creates a protective waterproof membrane to effectively recover your roof. 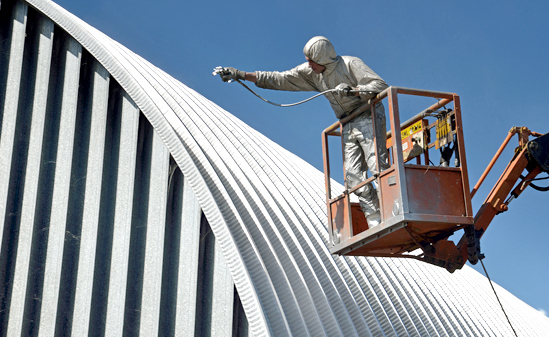 A roof coating can repair metal lap seams, roof penetrations, tears, and more while remaining flexible. Unlike asphalt and even polyester fabric, a properly applied roof coating will move with the roof material and withstand extreme temperatures without compromising the waterproof seal. we have specialized in fluid-applied systems since 1993. Fluid-applied roofing is a very different system than traditional commercial roofing systems. Don’t allow any roofing contractor to apply a roof coating to your roof; not all commercial roofing companies have the certification and knowledge to properly apply a liquid roof membrane. At eGreen Roofing Solutions, we have specialized in fluid-applied systems since 1993. Over the past 25 years, we have installed millions of square feet of fluid-applied roofing with the expertise and knowledge that sets us apart from regular commercial roofing companies. We are certified by major manufacturers of roof coating systems with the ability to help you choose the right product based on your existing roof specifications. As a full-service fluid-applied roofing company, we offer an extensive resource and knowledge base. We have experience with all types of commercial roofing materials, fluid-applied systems, and roofing applications such as commercial, multi-unit residential, and industrial. If you have questions about issues you are experiencing with your roof, we provide inspections and consultations to give custom recommendations. If your roof is a good candidate for a fluid-applied roof membrane based on its current condition, you can count on our certified technicians for professional, efficient application with minimal intrusion on your business. at eGreen Roofing Solutions roofing begins with education. We specialize in fluid-applied roofing because it’s a comprehensive solution. A fluid-applied roofing system creates a seamless, waterproof membrane over your existing roof. While it’s an excellent way to protect a new roof from the elements and extend its life, it’s commonly used as a cost-effective alternative to roof replacement. When your existing roof becomes worn and degraded by environmental exposure, a roof coating can be applied to form a new protective membrane that fully restores the roof. We specialize in fluid-applied roofing because it’s a comprehensive solution to a variety of commercial roofing issues. Here’s why you should consider a roof coating for recovering, repairing, or protecting your roof. Acrylic roof coatings are highly reflective, especially if you choose a white coating. This type of system can reduce your roof’s surface temperature by 50-80 degrees Fahrenheit while reducing heat transfer to the interior of your building. A roof coating doesn’t just protect your roof; it also reduces your energy costs by up to 30% per year. consideration if your existing roof is worn or already leaking as asphalt repairs will not last long. A roof coating creates a seamless membrane with excellent waterproofing capabilities. If your existing roof has developed leaks or you are concerned about the risk of water damage around seams, fasteners, and penetrations, a fluid-applied system can be the solution. roof and increase the risk of leaks. or two reapplications as needed. A fluid-applied system that’s properly applied can extend the life of your roof by up to 10 years or more. Once applied, the roof coating creates a new seamless membrane to withstand wind, hail, rain, and sun damage to your roof. Fluid-applied roofing membranes offer excellent adhesion to a wide variety of roof materials. We use the right formulation for your roof to solve issues like leaks, corrosion, weather resistance, and hot roof conditions.  eGreen Roofing Solutions maintains offices in Ohio, Tennessee, Texas, Georgia, and Florida. This enables us to provide roofing services to the entire Continental United States.